That was until I found out how many hoops I had to jump through to get the passport replaced. As expected, I started by calling the Consulate of Kazakhstan in Canada. The automated message had prompted me to consult the website, without getting an option to speak to anyone. After a brief moment of reminiscence of the polite and helpful service in my home country, I went on with my research. Consulate fee, which for an unknown reason is $50 USD. Verification of the absence of a pending application for the Canadian citizenship, or the the absence of the citizenship itself. Number 9 is where it gets fun. In addition to the 5-6 months quoted by the consulate, Citizenship and Immigration Canada add another 10 months to it the wait. Yes, you read it correctly, it will take them up to 10 months to look for the ABSENCE of my citizenship application before they can send an appropriate document to me. Pay the fee. I still do not know whether I needed to pay the $75 or the $30 fee, as there is a discrepancy: website says to pay $75, and the prone line says $30. I paid both $75 and $30, and added a note on the receipt asking to refund the one that is not applicable. If the case requires urgent processing, you may ask for a special consideration by attaching the letter of explanation. 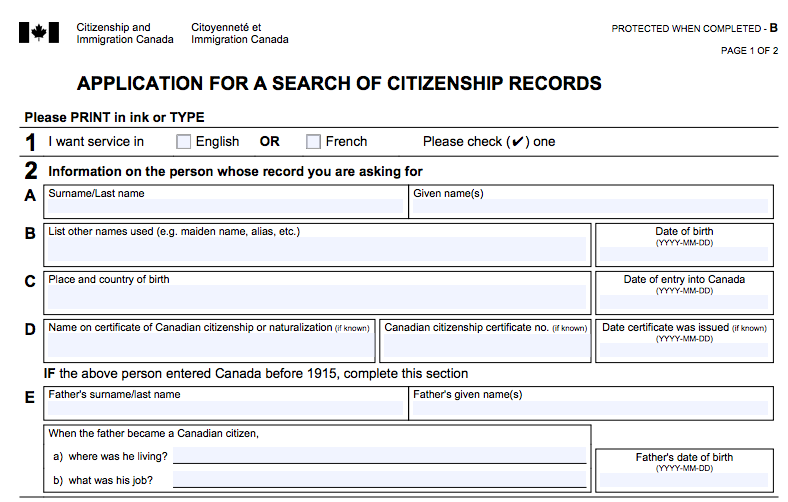 A personal suggestion: a good starting point is to get the verification of the absence of a pending application for the Canadian citizenship, or the the absence of the citizenship itself.